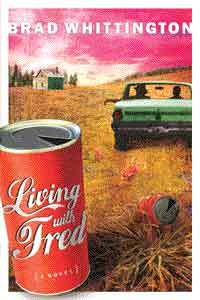 Living with Fred is a moving and hilarious tale set against the vibrant backdrop of the 1970s and rural America. It chronicles the struggle of one teen to reconcile the demands of faith with the complexities of society. Mark Cloud is back in Fred, Texas. He returns from a traumatic California vacation to discover that much has changed. The town drunk has got religion and one of Mark's classmates has started spitting out scriptures on cue like a gumball machine. But more drastic changes are in store for this small East Texas town. And for Mark. Once again a forgotten book buried on a dusty library shelf incites revolution. Mark begins to ask troublesome questions. What would Jesus do if he was a teenage boy in a hick town? Would he play on the football team? Would he go deer hunting? What would Jesus do if his date humiliated him in front of the school? What would Jesus do if confronted with a lonely bootlegger? What would Jesus do if his newest disciple got roaring drunk? What would Jesus do if someone got away with murder? Mark begins a pilgrimage that challenges the open-mindedness of his father and the forbearance of the deacons. As his answers lead him further down the path of least expectance, he ultimately finds himself facing the fear that haunts every PK: I could cost my dad his job. Mark must choose between remaining faithful to his understanding of the gospel or appeasing the prejudices of those with the power to make his family pay for his decisions.